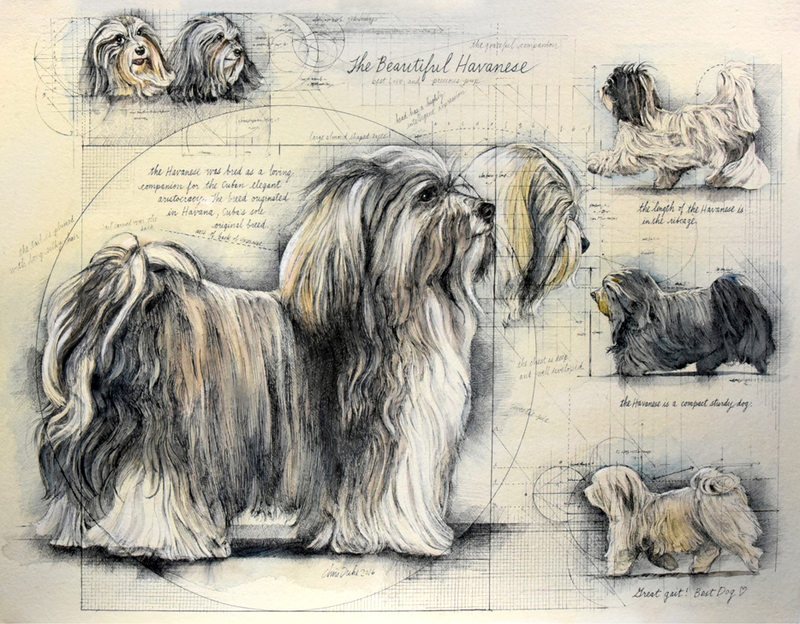 The Havanese are breathtakingly beautiful. They run with grace. I love the stories of their deep love and loyalty. In 2015, we photographed many dear Havanese dogs at the National Dog Show. With such heart-stopping best-of-breed reference, I had to do a piece of art! I hope my art is a worthy tribute to this little breed.